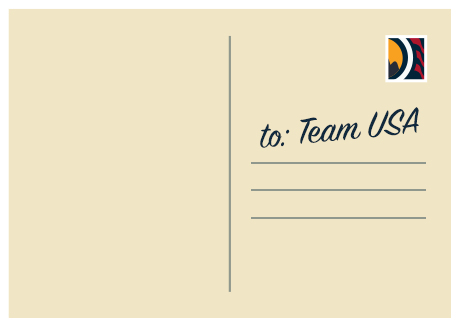 Show your support for the US Olympics team by sending a postcard online to your favorite athlete and you could win a trip to the Team USA Awards in Washington, D.C.! Grand Prize consists of a trip for two (2) to the Team USA Awards Ceremony in Washington, DC or other destination as solely determined and designated by Sponsor. Scheduled travel dates will be at the sole discretion of Sponsor, based upon the scheduled Team USA Awards Ceremony event date, and flight and hotel availability, and all travel must be completed by October 30, 2016. Grand prize trip includes: Round trip coach class airfare for two (winner and guest, both age 18 or older) from the gateway airport nearest to the winner’s residence as designated by Sponsor in its sole discretion to the nearest designated major airport servicing the Washington, DC area. Approximate retail value of grand prize trip not to exceed $2,000. HINT: There are a lot of ways to get other entries, so be sure to see the rules for details. This Sweepstakes ends on 09/12/16 and you can ENTER ONCE to win.